Troian Bellisario aka Pretty Little Liars’ Spencer Hastings is getting hitched to Patrick J. Adams aka Suits’ Mike Ross in the TV couple mashup of your dreams. 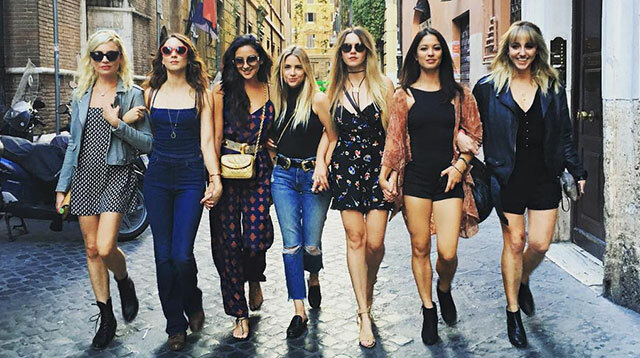 She’s currently in Greece for her Bachelorette party and the pics are seriously chic and gorgeous. There were flower crowns, matching tees and a hashtag #BellisarioGetsBooted. Fun! We can’t WAIT to see the wedding pics. Oh, and if Patrick wants to post some pics of him and Harvey Specter getting loose, we’d be totally okay with that!